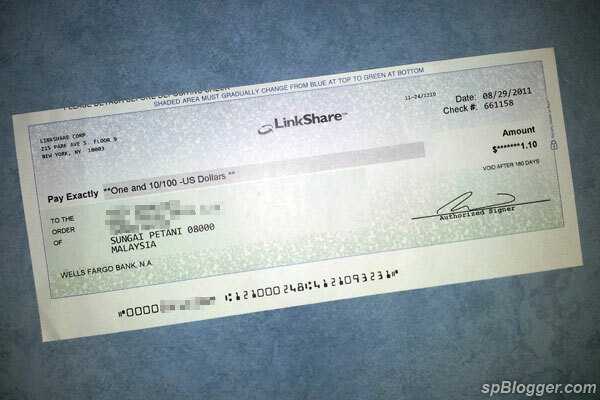 Yeah… I received my very 1st cheque from LinkShare. Haha… It is also the smallest amount US cheque @ $1.10 that I have received. I can’t even withdraw it because the cheapest processing fee is around RM13.00 from HSBC bank in Malaysia. LinkShare set too low withdrawal limit at $1.00. I don’t even notice until I saw a cheque was sent notice when I login to LinkShare account. Last Innity Performance Network Payment?